To keep your car running well it is essential to regularly change your vehicle engine oil and filter. Over time the quality of the oil begins to break down and the filter becomes clogged with contaminants. Although most manufacturers recommend an oil change every 7,500 miles for passenger cars and 3,000 miles (or six months) for diesel engines, this is typically based on long distance driving rather than the more common short distance driving that most drivers undertake. This includes journeys under 10 miles, cold weather journeys, stop-start traffic driving and sustained driving at high speeds in hot weather. For this type of driving the recommended oil change should be undertaken every 3,000 miles (or three months). Oil helps to lubricate your vehicle which ensures all the moving parts run smoothly, whilst the filter helps to carry the dirt and debris away from the engine. 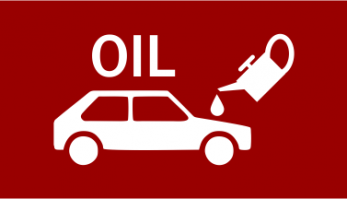 Without clean oil in the engine the performance and fuel economy of the car will deteriorate and may lead to insufficient oil levels. This in turn will cause metal-on-metal friction of the moving parts, over- heating and eventual seizing of the engine. As part of your annual service SRSC will automatically replace your oil and check your filters. If you are close to the recommended mileage but your vehicle is not yet due for a service then one of the members of our team will happily undertake a filter check and replace your oil. You can use this link to book your vehicle oil and filter change or alternatively call us on: 01773 260110 and one of our team will book your vehicle in.